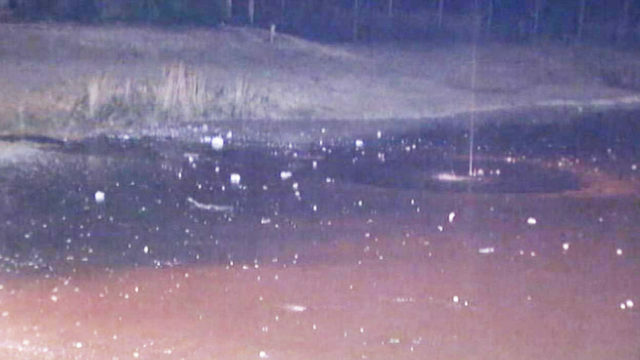 Charlotte, North Carolina residents called 911 at 3:30 in the morning when they heard a dog barking and whimpering nearby. 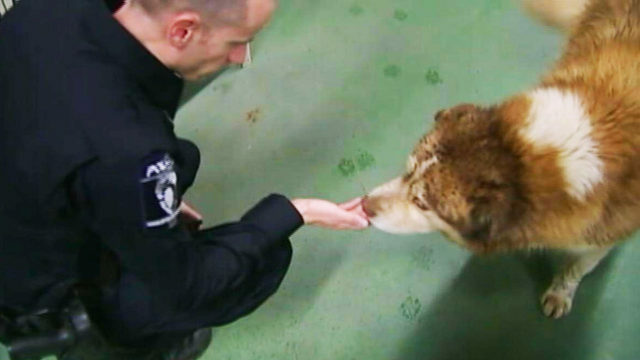 Firefighters quickly arrived to the scene and found 90-pound Husky/Malamute mix stuck in a frozen pond after he has fallen through the ice. They worked together to pull the dog from the icy water and quickly as possible, and rushed him to the fire department. They wrapped him in blankets and tried their best to warm him up. Thankfully, his body temperature was normal, despite being stuck in the freezing water. Vets say he has his thick coat of fur to thank for that. Unfortunately, the dog was not wearing a collar and does not have a microchip. 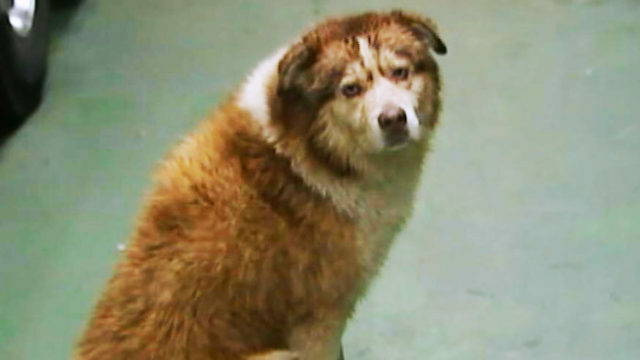 But rescuers believe he belongs to someone since he looked well-fed and cared for. They are hoping that his owners will come forward, but if no one does, one of his rescuers has already expressed interest in adopting him. In the meantime, they will continue to care for him and make him feel as comfortable as possible.